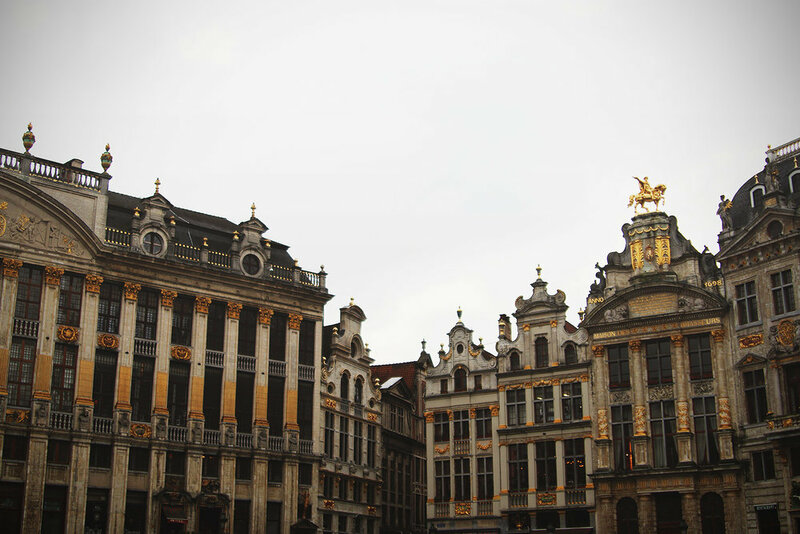 After realizing I needed something to do for 12 hours before my train back to London, I left Bruges early and headed to Brussels to see what that city was all about. I think I got off at the wrong train station because where I ended up walking through to get to the main part of the city, was one of the most disgusting areas I've ever been in, like anywhere. I was so confused at first. I thought, "Is this what Brussels looks like? The photographs lied!" But after an hour of walking, I finally found the beautiful parts of the city and calmed down a bit. Brussels is a very diverse city. There were people of color everywhere, which actually surprised me. Not because I assumed everywhere in Europe is completely white, but Brussels doesn't jump to mind upon thinking about diversity in major European cities. As I was walking though the gross area, a man followed me for awhile, trying to get me to add him as a friend on Facebook. He was nice, but I am not a fan of being stalked online or in person, so thankfully I eventually shook him off and found my way to the pretty buildings. There's a main square with a palace and lots of ornate buildings. There's also a tiny statue of a little boy peeing that apparently a lot of tourists find completely mesmerizing. I, on the other hand, thought it was odd, and kept walking after taking one photo. I looked at a map to see what I should see in the city, but I was already so tired and underwhelmed that I ended up finding the shopping area of the city and spent the next few hours browsing through them. Apparently a new Primark opened in Brussels over a month ago, but there was still a 20 minute line to get into the store. Sadly, I don't have much else to say about Brussels. It felt nice to say I've been there now, but I was ready to get home, so I successfully navigated the metro and got back to the Eurostar station, ready to get home. And yes, I didn't have any of the traditional Belgian waffles whilst in Belgium. It was indeed a tragedy, but when you're dieting, you've got to make some sad sacrifices when it comes to being a foodie abroad.